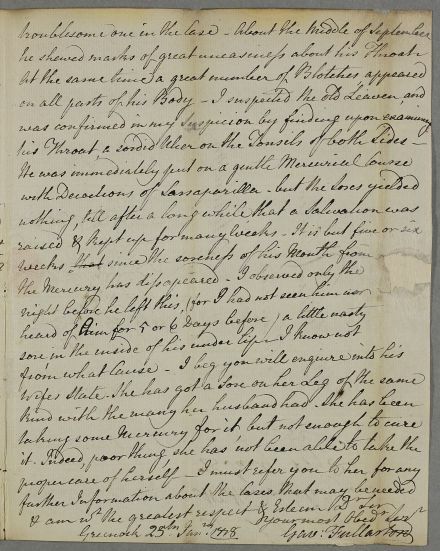 Letter from Gavin Fullarton concerning the case of the son and daughter-in-law of their former patient Alexander McDonald. 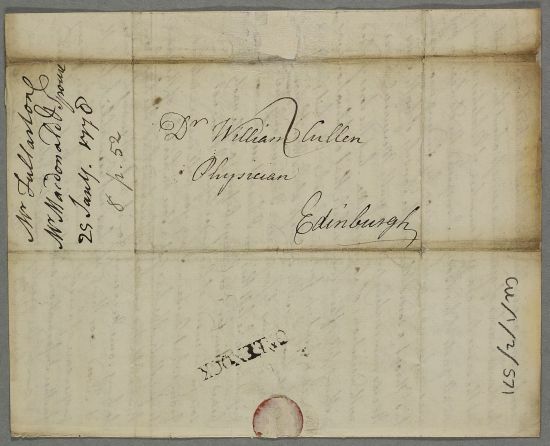 Alexander McDonald his bringign his son to Edinburgh to see Cullen. Mr McDonald Jr. is in his early 30s, and described as 'a chip of the old Block'. Soon after treatment for a venereal throat infection, he married and travelled to Norway. He has since had a stroke which has left him speechless and hemiplegic, and he has sores. His wife also now has a sore on her leg. Fullarton outlines the treatments both patients have received. Summary Letter from Gavin Fullarton concerning the case of the son and daughter-in-law of their former patient Alexander McDonald. Alexander McDonald his bringign his son to Edinburgh to see Cullen. Mr McDonald Jr. is in his early 30s, and described as 'a chip of the old Block'. Soon after treatment for a venereal throat infection, he married and travelled to Norway. He has since had a stroke which has left him speechless and hemiplegic, and he has sores. His wife also now has a sore on her leg. Fullarton outlines the treatments both patients have received. 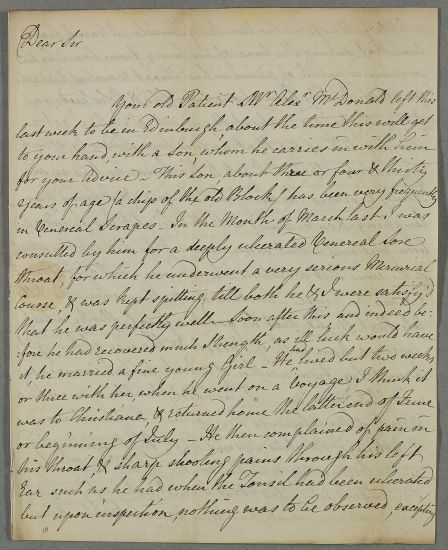 Case of the son of Alexander McDonald who, like his father, has had venereal infections, possibly passed to his wife, and has now had a stroke. His wife is Case 1017. 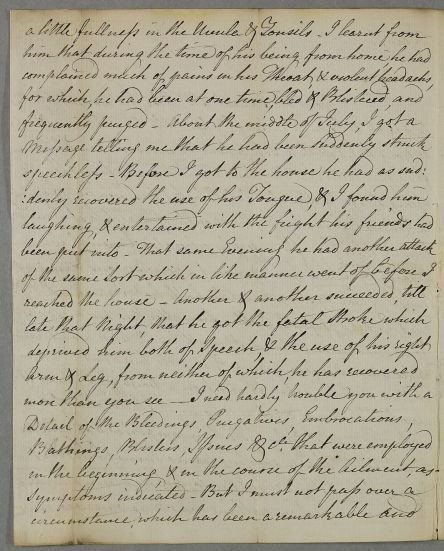 Case of the wife of Mr Macdonald (Case 1016), who is showing signs of a venereal infection contracted from her husband (Case 1016).